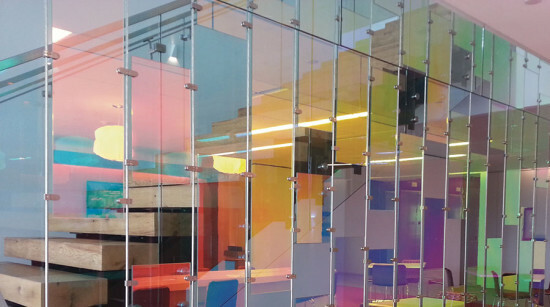 Fixed or floating, glass panels can bring color, pattern, texture, and spatial definition to an interior—without impeding the spread of light throughout the space. Used as part of a wayfinding or identity scheme, or simply to introduce a note of artistic distinction, the choices range from traditional cast and mouth-blown design to high-tech fabrications. An interlayer of laser-cut fabric gives these laminated glass panels depth and dimension. Offered in four patterns in over 40 colors. 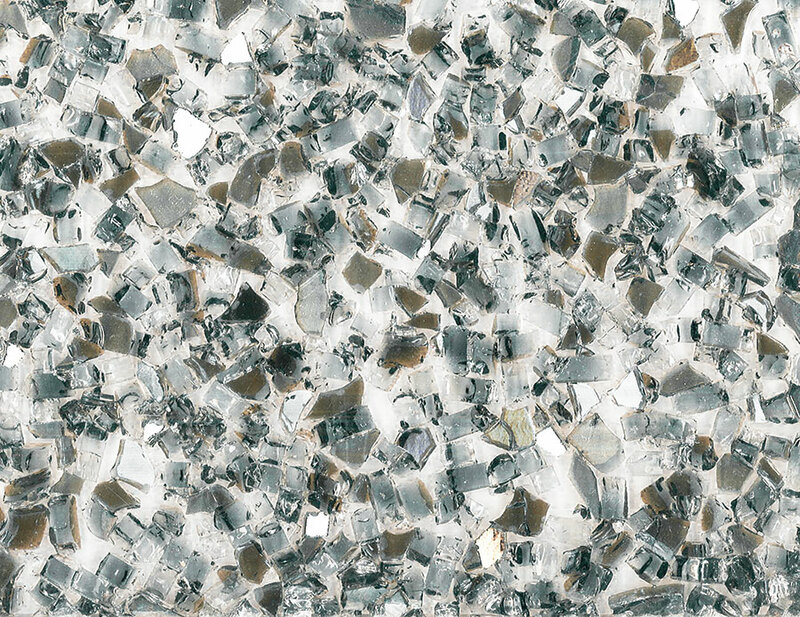 Composed of glass aggregate that is 98 percent to 100 percent recycled post-industrial or post-consumer content, these panels are LEED eligible. Combining the art of traditional glass blowing with modern technology, these one-of-a-kind panels can be cut to spec or installed as whole pieces. 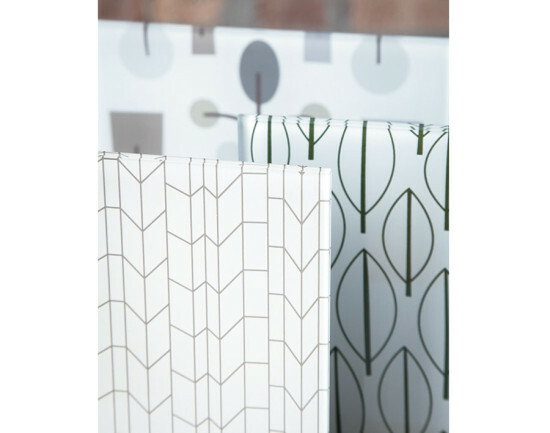 One of ten designs in the new Alexander Girard Collection, panels are available in sizes up to 72 inches by 144 inches, in four thicknesses. 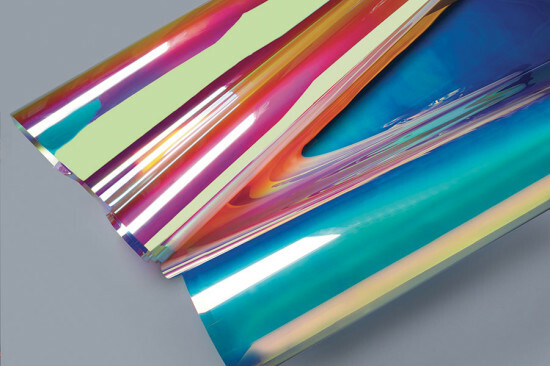 Patterns are etched or printed in transparent, translucent, or opaque effects. 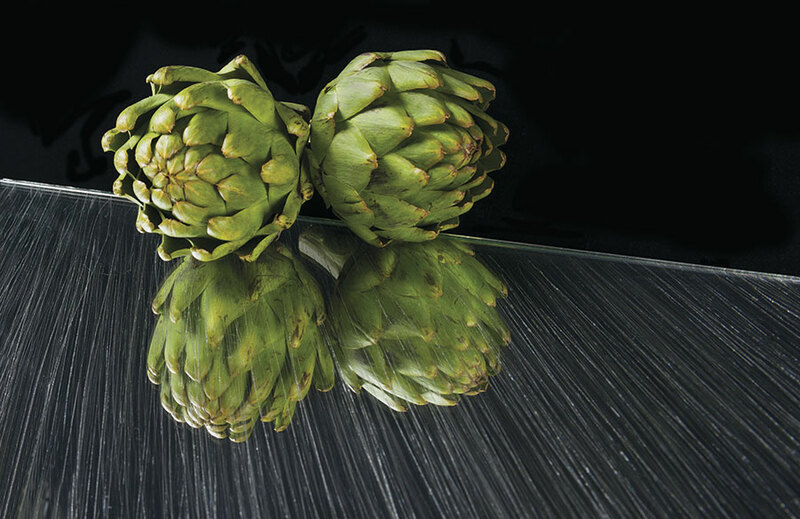 Sporting sketchy linear patterns in a freehand technique, this etched mirror glass is suited for hospitality and commercial applications. 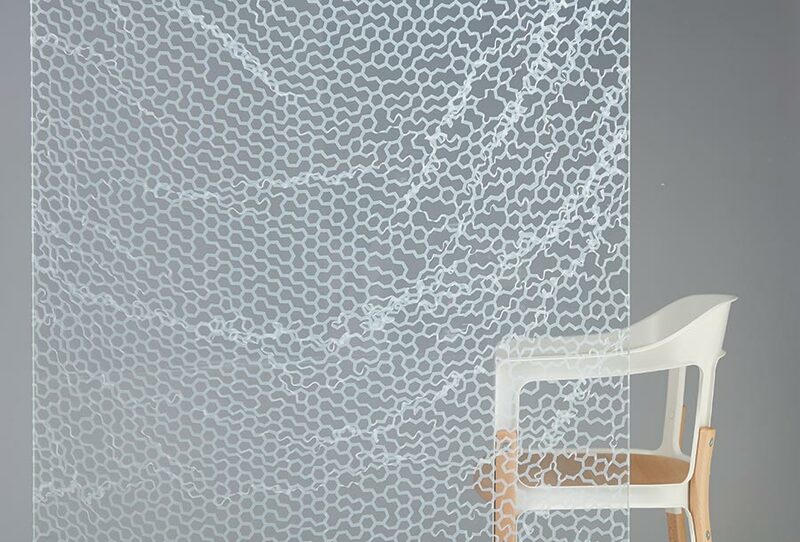 Interlayers of fabrics, metallic mesh, and rice paper give this line of laminated glass a natural character. Glass is easily transformed using this pressure-sensitive, repositionable film. 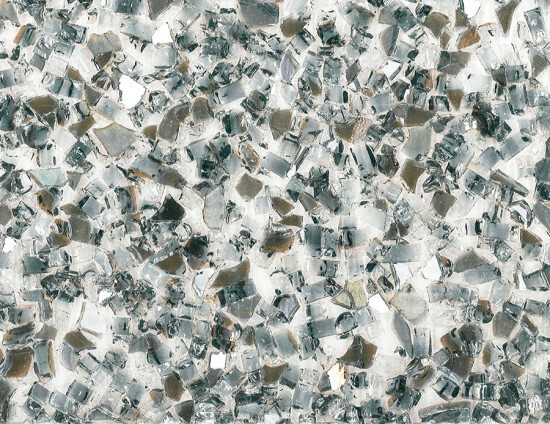 Available in warm and cool color palettes, it is Class A fire-rated. 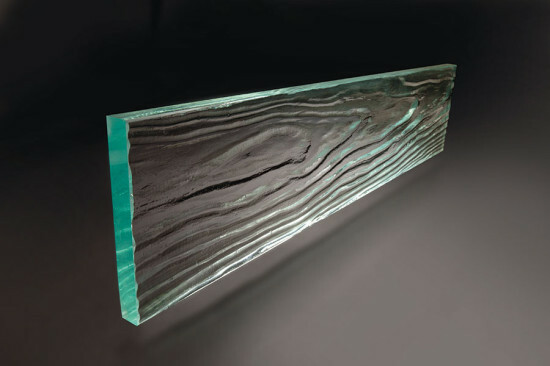 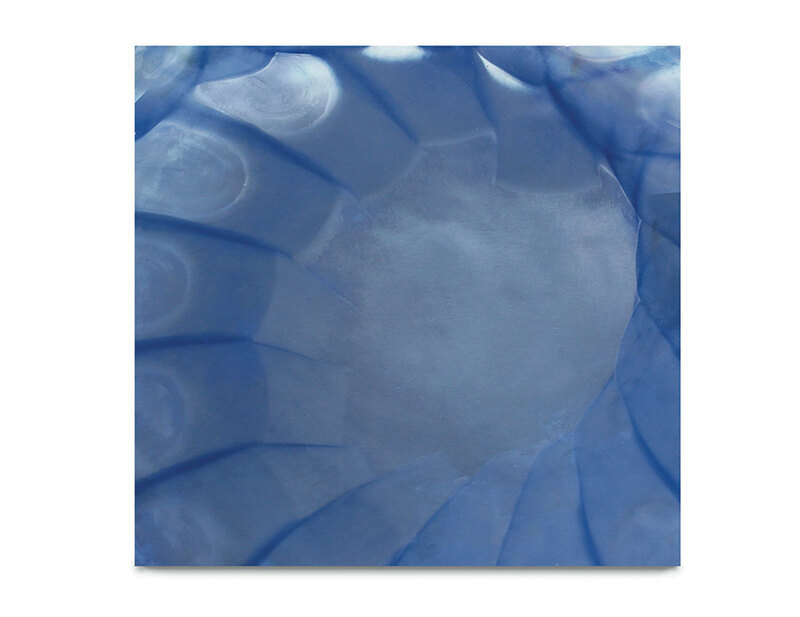 Available in panels up to 58 inches by 110 inches, this kiln-cast glass can be fabricated, tempered, and color-matched to order.